We are committed to provide high quality education by using innovative, contemporary and flexible knowledge delivery solutions. 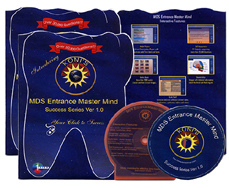 Koni's MDS Entrance Master Mind is a revolutionary Software product designed for Post Graduate aspirants in Dental Specialty. This pioneering product incorporates attractive interactive features that will leave a lasting impression on users mind. This mini encyclopedia is an experience of new technology in your quest for knowledge and wisdom. This is a unique breakthrough product, which has scaled a new frontier and opened immense possibilities in the field of dentistry. It is a comprehensive study material developed with a sole objective of helping dental students to get the coveted postgraduate seat and to serve the society to the fullest. 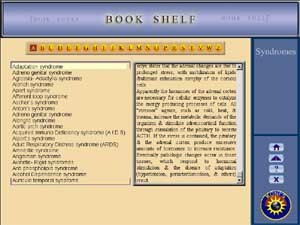 It has a voluminous collection of short notes, classifications, Drugs, Facts on your finger tips and various Syndromes which have been arranged systematically to help you have a quick review of various important facts and figures. It will be of vital importance in your entrance exam preparation. Beautiful Interactive images with relevant texts giving brief and valuable information is the highlighting feature. Interactive images with accurate text will add depth to your knowledge and Entrance Exam preparation. 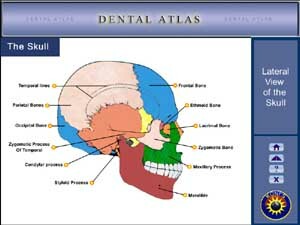 Collection of photographed images and various Pathological conditions commonly encountered in Dentistry and also images of various Surgical Procedures that will provide greater insight into better understanding of various subjects. 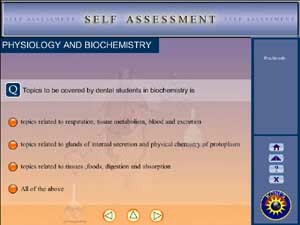 Contains more than 20,000 questions covering all the subjects relevant to dentistry. For the first time we are introducing audio/ visual assessment system. Sounds are incorporated not only to allow alert when you are wrong but also to pat you when you are right. 100 papers with 100 questions in each paper. It will give a virtual Entrance Exam experience. Date, Time and Score will be shown on the right panel of the screen. Negative markings have been deliberately discarded to encourage you. Grades A-D have been incorporated to honestly evaluate your performance. If you need help using an Koni'sproduct, first check our detailed instructions. Under this payment option, ordered product will be shipped to your address by post. Payment should be made on receipt of the product. Credit card and online bank transfers.